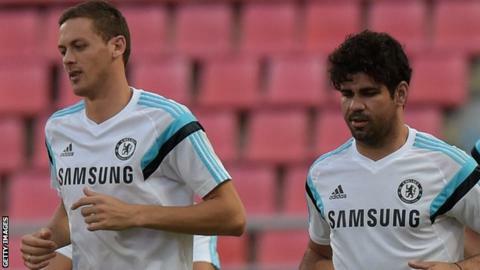 Diego Costa and Nemanja Matic will miss Chelsea's pre-season tour of the Far East amid suggestions that both will leave Stamford Bridge. Chelsea leave for China on Monday and manager Antonio Conte has told both players they will not be selected. Striker Costa, 28, wants to return to Atletico Madrid, even though they are under a transfer ban. Manchester United have been trying to reach an agreement to sign midfielder Matic, 28. However, there is also thought to be interest in the Serb from clubs in Italy. Monaco midfielder Tiemoue Bakayoko is expected to replace Matic in the Chelsea side next season. It is believed the 22-year-old will complete his move to the Premier League champions in the next few days. Chelsea open their pre-season programme against Arsenal in Beijing on 22 July before travelling to Singapore for games against Bayern Munich and Inter Milan.